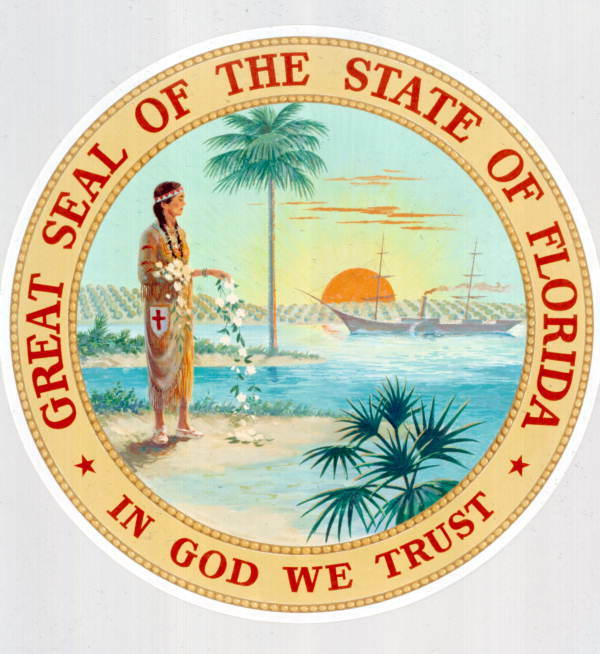 Current seal adopted in 1985. 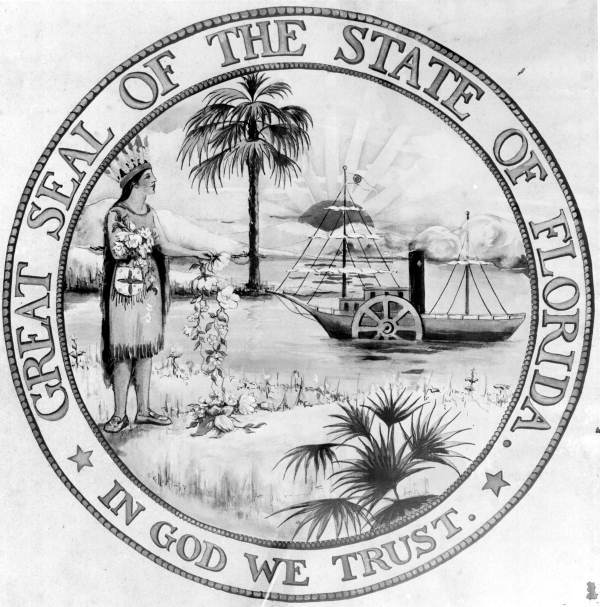 On August 6, 1868, the Legislature adopted an official state seal, passing a resolution specifying "that a seal the size of the American silver dollar, having in the center thereof a view of the sun's rays over a high land in the distance, a cocoa tree, a steamboat on water, and an Indian female scattering flowers in the foreground, encircled by the words, 'Great Seal of the State of Florida: In God We Trust', be and the same is hereby adopted as the Great Seal of the State of Florida." 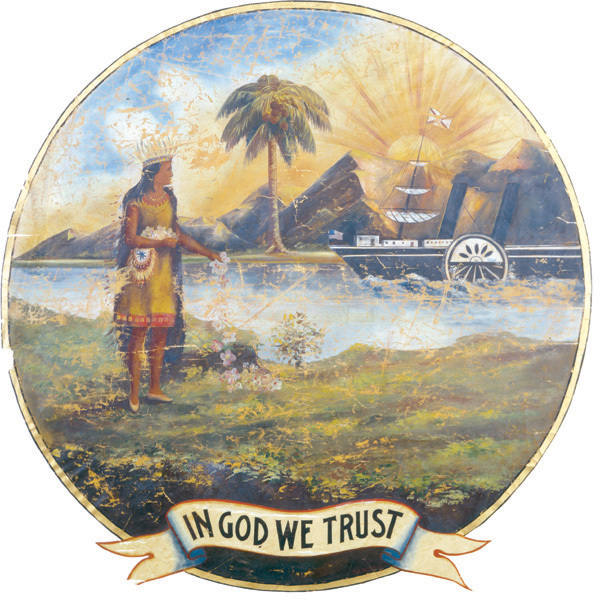 Over the years, the seal was revised numerous times with elements that people noticed were a bit off: mountains in the background, the Indian woman wearing clothing worn by Great Plains, not Seminole Indians, and a headdress that only male Indians wore. In 1970, the Legislature changed the official description to replace the cocoa tree with the Sabal palmetto palm, which became the state tree in 1953. 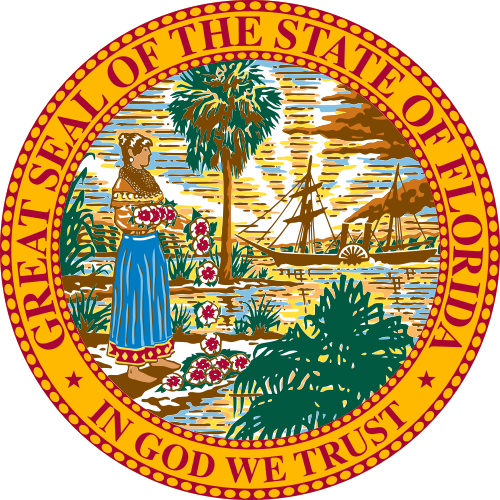 The current seal was approved in 1985.